I know that you’re probably already familiar with butterfly analogies. 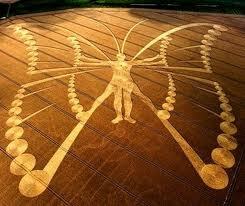 I realize that butterfly references flit and flutter rampantly throughout the new age movement of thought. And I get that you get that butterfly is symbolic of transformation and metamorphosis. But I’m going to go through it again all the same; in detail, slowly, because although people talk the talk there is hardly a more potent set of images available to us mere humans than through the magical synergy of the butterfly story. The real magic however lies in what is not often talked about. We usually talk about the transformation from caterpillar to butterfly; from humble beginnings to exquisite soaring potential. As humans we tend to like happy endings and butterfly wings are just plain happy making! But the real message of hope lies in the frenetic, arduous, and determined journey of the lowly Caterpillar. 1. The Egg (Conception): You are conceived, from fertilized egg you come into being. You enter into this life’s experience with a bevy of information that will all contribute to the path you must walk in this lifetime. From the moment of your conception you are immersed in this matrix of information that will metabolize into your own being, forming your own unique life’s expression. You grow, develop, and become the miniature form that will execute your life’s journey this time around. The concept of you is created out of karmic lessons, genetic opportunity, parental influence, environmental conditioning, and knowledge. When you are ready you will emerge through a challenging experience of birth. Your first real experience of fighting for your life, you break through the barrier that has kept you safely protected, to move toward an independent expression of your self. And this is where the real fun starts! 2. The Caterpillar: From the moment he breaks away from his egg, the caterpillar begins to hunt for and devour huge amounts of food. His physical rate of growth is fantastic. Four separate times he literally grows out of his skin. 4 times he must shed his old skin and live into his new potential. 4 times his skin splits, dries up and 4 times he must wriggle free of it, leaving it behind if he intends to survive; which is of course, all that motivates him. Likewise there are four times in a human life that we change our skin, dramatically yet without realizing it from a daily perspective; infancy, adolescence, adulthood, seniority. But at each stage, before we can rightfully embody the next stage of life we must learn the value of letting go of the ideas, dependencies, perspectives and belief systems that have been relevant to life to date. Some of these experiences are emotionally devastating, earth shattering, heartbreaking. Although we think that we would be happy to leave these behind us, often these times of life are the ones we allow to define us and to influence how we move forward in life. Our ultimate success will be determined by how well we let go of our most challenging attachments, forgive and move forward toward the next stage. The caterpillar grows larger and expands with each stage right up until his ‘death’ time as the pupa. Human tendency, however is to slow down our growth once we move into middle age. Half way through our life span we tend to stop taking in new ideas, we indulge in routine, cultivate patterns of sameness, and reject thoughts of new possibility. We approach our death time with low energy, little creativity, and resignation to the inevitable. As human beings we also have 4 aspects that must be simultaneously developed as we grow; physically, mentally, emotionally, and spiritually. It seems an immutable fact that we are destined to grow, our choices in reference to each of these aspects will determine how well and gracefully we progress. Each aspect supports the others and encourages the others to stretch and reach for a higher opportunity at all times. 3. The Pupa (Transformation): When the caterpillar enters the pupa stage a profound cellular transformation occurs that will eventually allow the caterpillar to experience life from an entirely different, more lofty perspective than he had previously known. It is during this stage of human development that many of us choose to rest, believing that life has reached its climax and now there is nothing but a steady decline in vitality ahead. Transitioning from mature adult into senior is an enormously difficult shift in physicality, mentality, emotionality and spirituality for most people. Many people choose to spend this part of their development being ill, tired, listless, lifeless, uninspired and mournful. As fully mature adults we too begin to change chemically. The pharmaceutical companies must love this stage of development as they seem to provide more and more prescription drugs that cater to aging bodies and metabolisms to say nothing of hormonal deficiencies and other chemical imbalances that happen with aging. It’s an all out effort to keep the population from believing what they see happening in the mirror. There is a time of retreat, isolation, and reconstitution that has to happen to allow the shift forward into a beautiful seniority. Mankind must learn to surrender to his maturity and allow the alchemical transformation to happen so that he too may emerge in a splendid possibility and symbol for hope. 4. The Butterfly(Seniority): The caterpillar instinctively follows his biological clock and surrenders himself willingly to the pupa stage of growth; man not so much. We fight it every step of the way. Every where we look we see seniors trying to recapture their youth. It is not however, the seniors that are trying to look and act young that capture our hearts, it’s the ones that joyfully and exuberantly embrace their age, their knowledge and their wisdom. The seniors that we adore and respect are the ones who have gracefully allowed themselves to embody the fullest culmination of their lives. When our elders joyously express their enthusiasm for life with flair and panache we see the human butterfly emerging. They have surrendered to their transition and have gratefully, with humility and profound wisdom accepted and embodied the journey of the butterfly. They have miraculously surrendered to the divine order of life to experience without fear or worry the fullest expression possible. The human butterfly has learned to leave the worries of growing, building and survival behind him and lives out the remainder of his life dancing with the breezes, enjoying the nectar of the beauty of life and living for the moments that remain. Butterfly nurtures the spirit of others around him, giving hope and inspiring the next generation to live their fullest life possible. Wow! This is another great example of ‘Profound Simplicity’; it has been written in such a simple way, yet the message it carries with it contains profound wisdom. Thanks for teaching this wonderful idea of change and transformation Andrea. I am really enjoying learning such inspirational, universal ideas from you.